KAILUA-KONA, Hawaii - An emergency proclamation enabling the camp has since expired, and the County is no longer allowed to continue operations at the site. (BIVN) – On Tuesday, the County of Hawai’i shut down Camp Kikaha, the temporary homeless encampment in the Old Industrual Area of Kona, in an effort “to relocate the residents to more permanent housing nearby”, officials said. The one-acre property at Camp Kikaha had accommodated approximately 20 adults in facilities consisting of tents, portable toilets, a temporary water spigot and showers, the county reported. 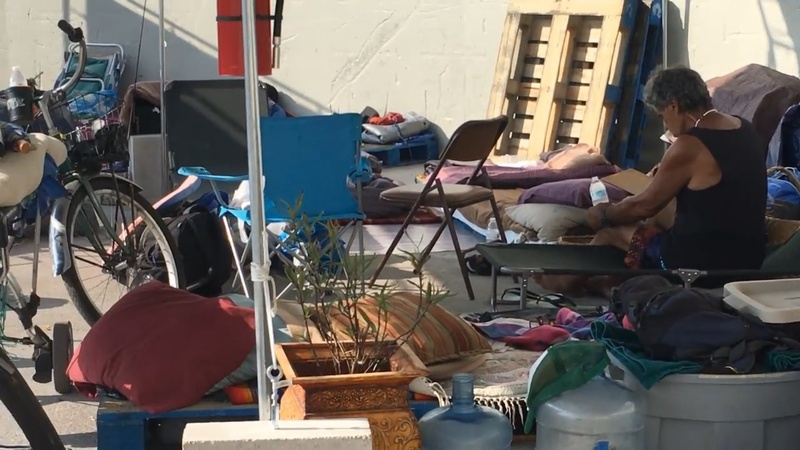 Camp Kikaha began as a tent city where homeless individuals, displaced by a cleanup of the Old Kona Airport beach park in August 2017, could find some shelter. The temporary facility was enabled by an emergency proclamation, “under which zoning, building and fire codes were temporarily waived”. “The proclamation has since expired, and the County is no longer allowed to continue operations at the site exempt from County Code requirements,” a county news release stated. “We have found alternate housing for all of the residents, either at permanent supportive housing or the Emergency Shelter in Kona,” said Managing Director Wil Okabe. A clean-up crew of volunteers was clearing the site on Tuesday afternoon. A plan is in the works for a more permanent “assessment center” for homeless on Village 9 in Kealakehe.